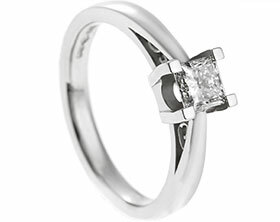 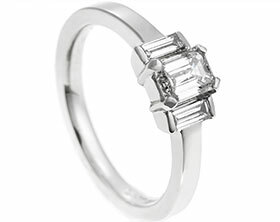 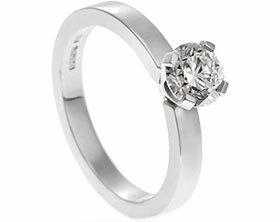 A unique 9ct white gold engagement ring featuring a 2.9mm (0.16ct) H SI brilliant cut diamond which has been invisibly set into the band. 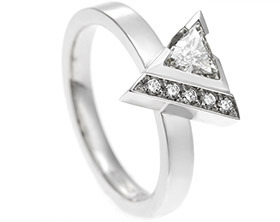 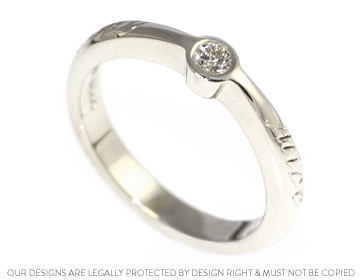 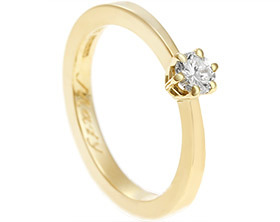 The 3mm wide band tapers inwards towards the central diamond and features the engraved names of their two daughters, one on either side of the stone. 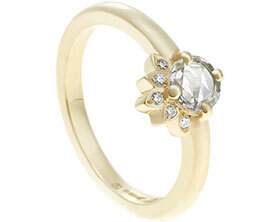 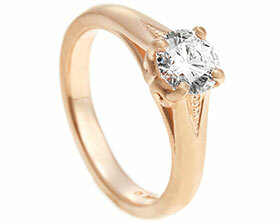 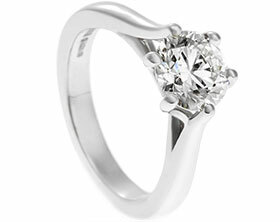 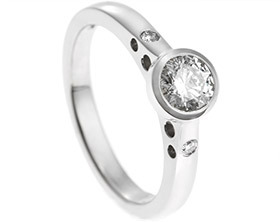 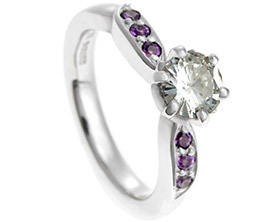 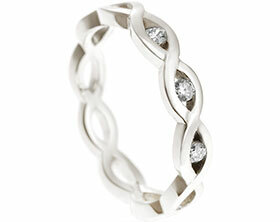 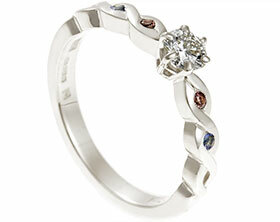 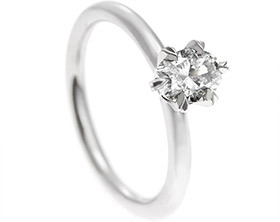 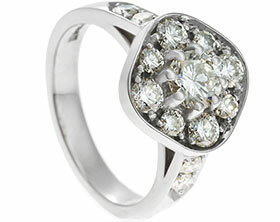 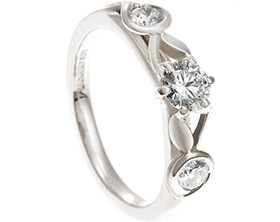 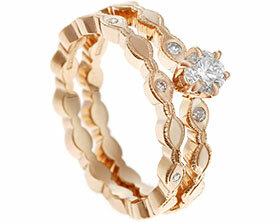 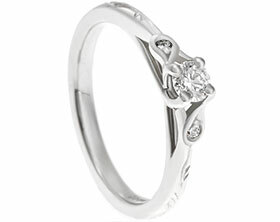 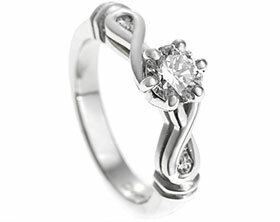 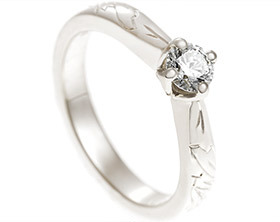 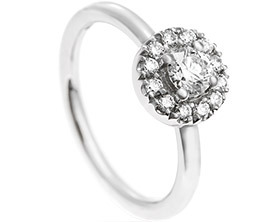 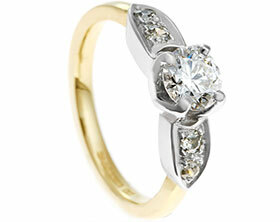 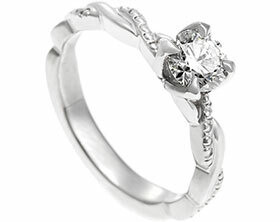 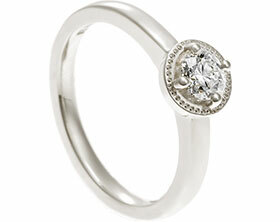 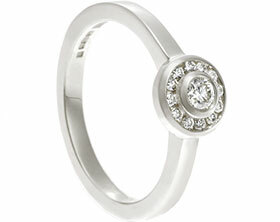 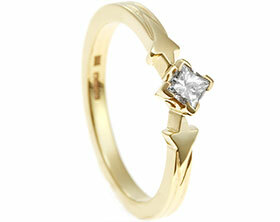 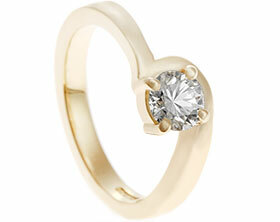 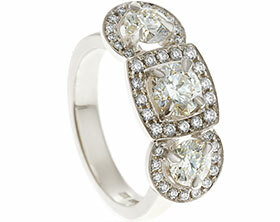 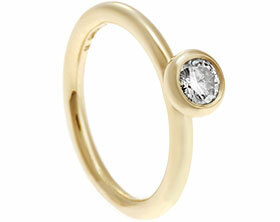 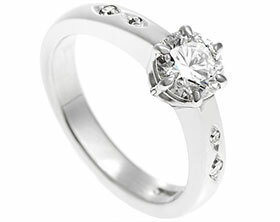 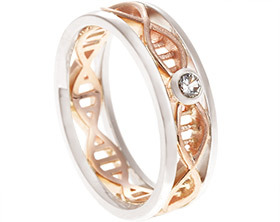 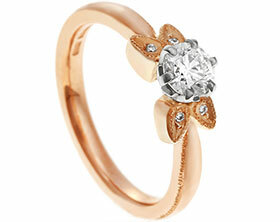 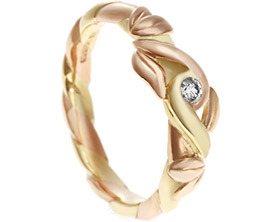 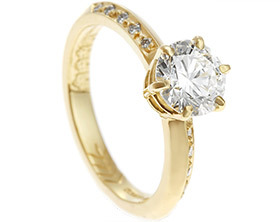 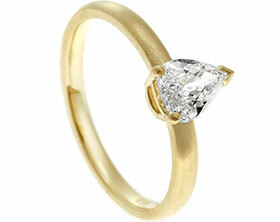 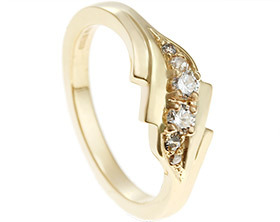 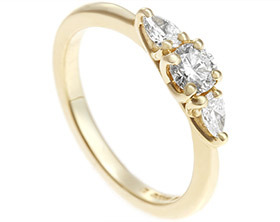 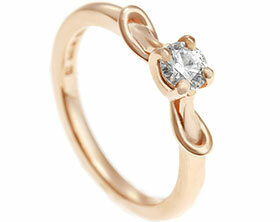 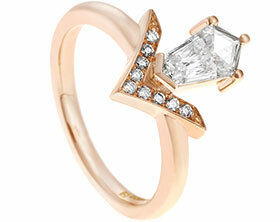 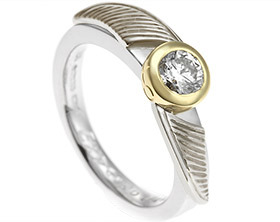 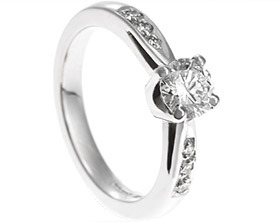 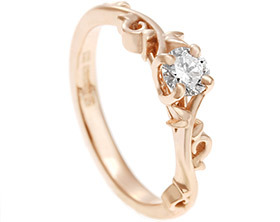 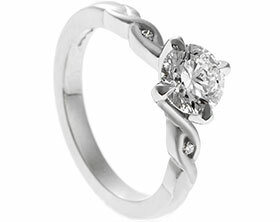 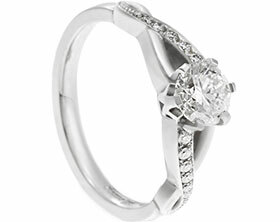 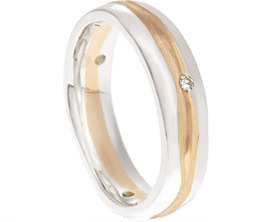 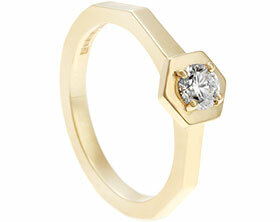 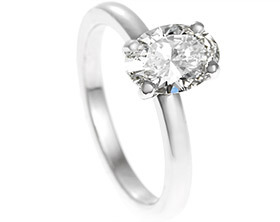 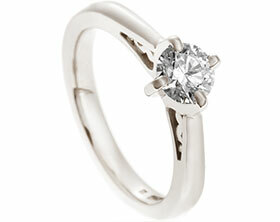 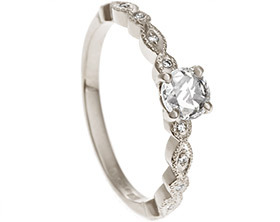 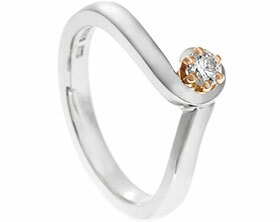 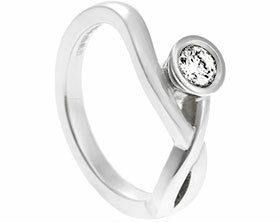 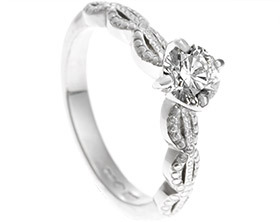 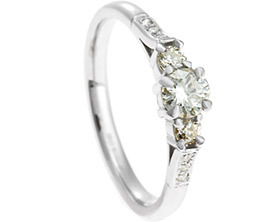 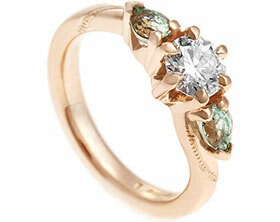 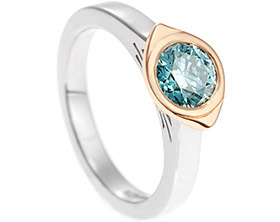 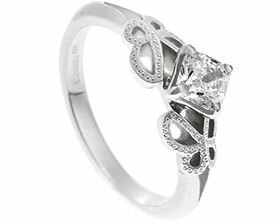 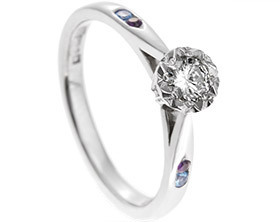 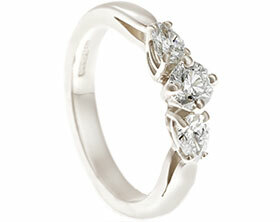 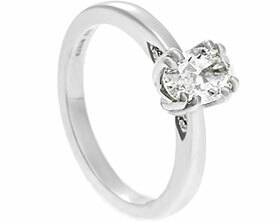 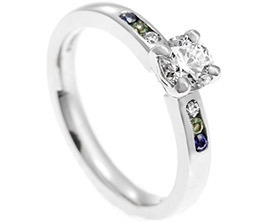 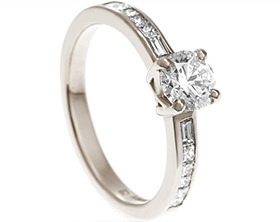 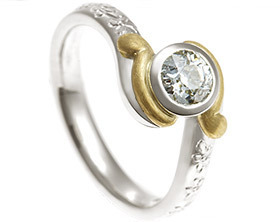 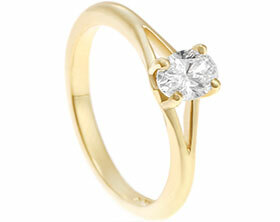 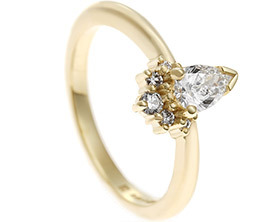 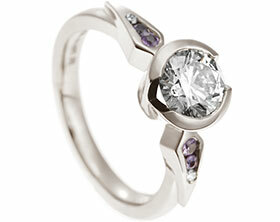 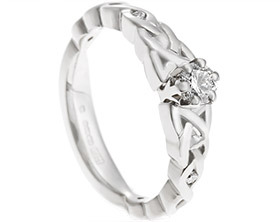 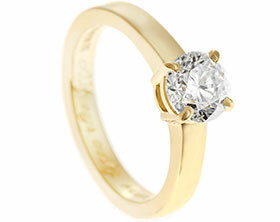 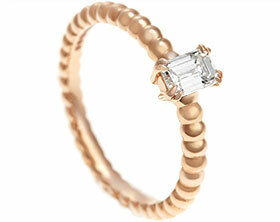 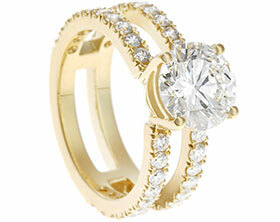 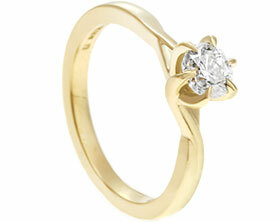 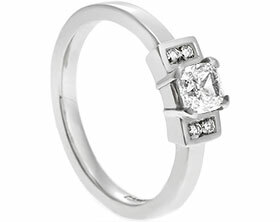 The band has a curved, domed profile and to complete the look the ring is polished to a high shine.